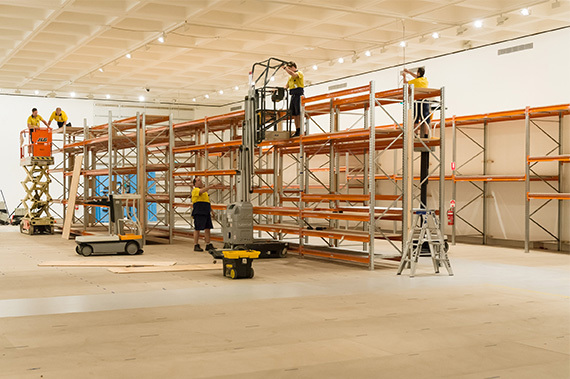 Change is afoot at the Queensland Art Gallery (QAG) with the Collection Storage Upgrade project. 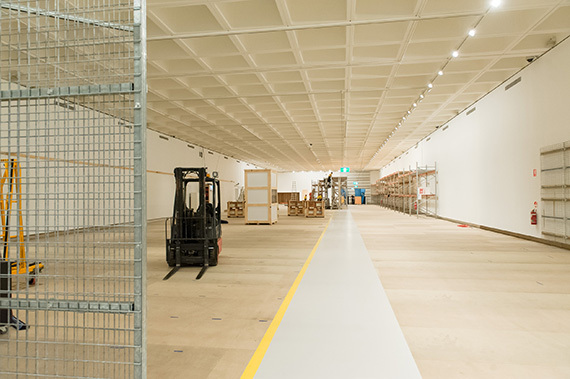 A mezzanine level in QAG’s Collection Storage space, part of architect Robin Gibson’s original intention for the building, will finally be made a reality through a major capital works project that will increase the building’s storage capacity by nearly a third and modernise its storage systems. 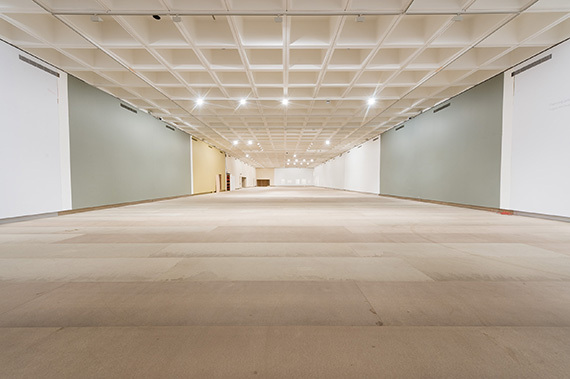 The Josephine Ulrick and Win Schubert Galleries (Galleries 10-13) and the Queensland Artists’ Gallery (Gallery 14) will be used to accommodate Collection works for the duration of the project. 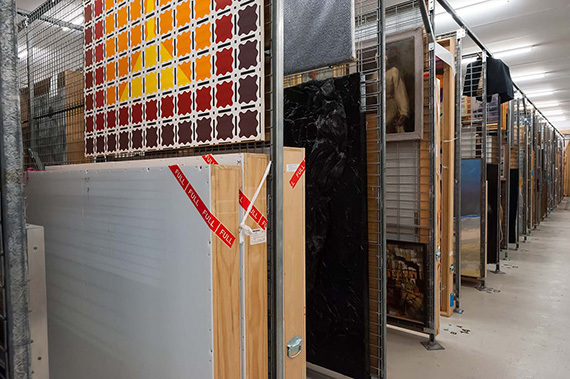 Following the assessment of works and the creation of speciality packing for delicate and sensitive objects, the entirety of the Collection stored at QAG will be moved to this temporary home. 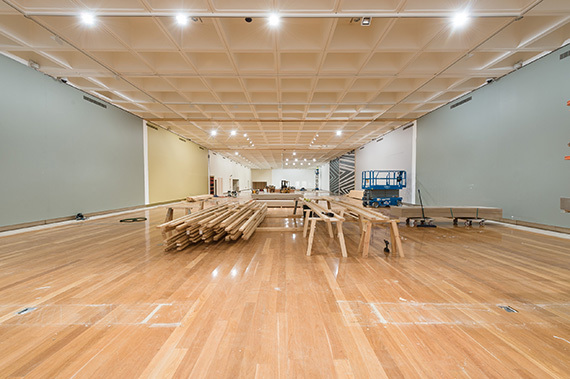 A concentrated presentation of Australian collection highlights now fill QAG’s Gallery 5 during the project. 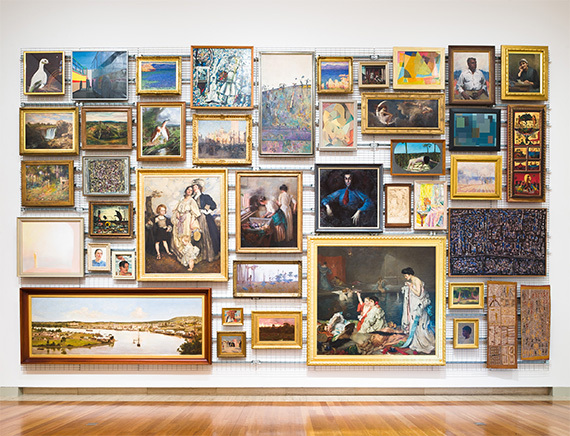 ‘Moving Pictures: Towards a Rehang of Australian Art’ includes a salon hang of Collection favourites — iconic paintings by Rupert Bunny, Vida Lahey, R Godfrey Rivers, Russell Drysdale, Ian Fairweather, Sydney Long, George W. Lambert, E Phillips Fox and Nora Heysen and many others, presented with an ‘open storage’ approach — a reference to the Collection storage upgrade happening behind the scenes. 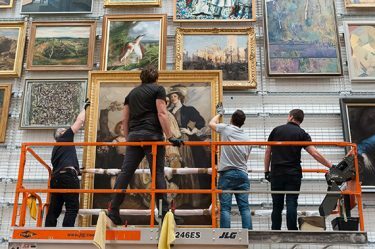 Visit the exhibition and explore iconic works from our Collection using the interactive touchscreens onsite or use your mobile device and view videos about artists and artworks on display. 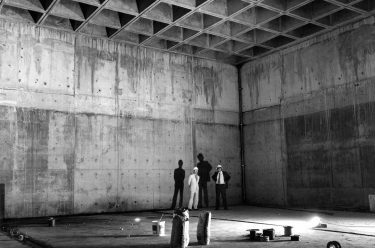 The mezzanine project will also give the Gallery an opportunity to reimagine the presentation of its Australian Collection in time for its reopening in September 2017. 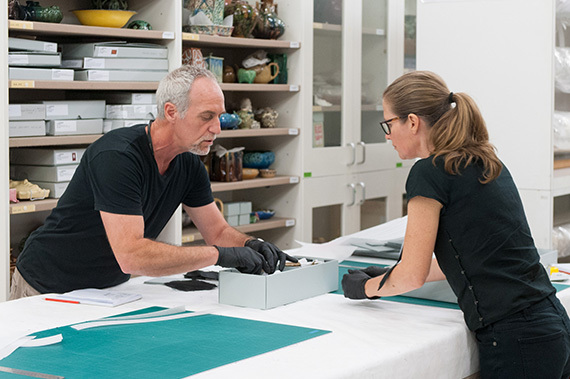 Keep an eye out for updates on the Collection Storage Upgrade and Australian Art Collection Highlights currently on display in ‘Moving Pictures’.